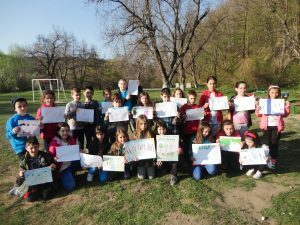 Students from Stoyan Mihailovski school in Varna, Bulgaria, have discovered a very important thing: “It´s fun to be eco!” Thanks to their teachers, they learned a lot about food issues and, mainly, how important it is to use this new knowledge in everyday life. 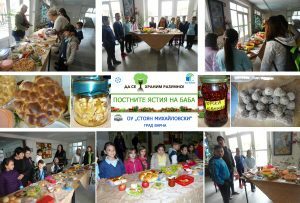 The “True Food” public event was essential to student learning about the importance of “being eco”. 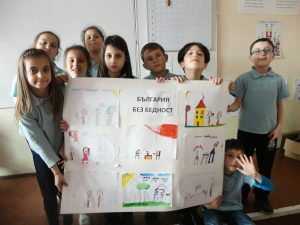 The event was held at Stoyan Mihailovski primary school in Varna where the students could use what they had learned to share their knowledge with others. At the beginning, they were divided into two groups. Each group prepared some small refreshment for their guests, including tea, juices and baked potatoes. 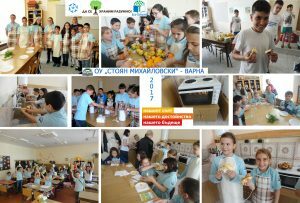 Before this event, students from the elementary school have learnt how to grow many different herbs and spices right in their classrooms. They got to know not only how to plant different herbs, but also how to use them in meals, how healthy they are for us and even that they are often part of medical products, ointments and cosmetics. During the public event, students presented the herbs and spices to all the curious guests. They were pretty impressed by their knowledge and skills! 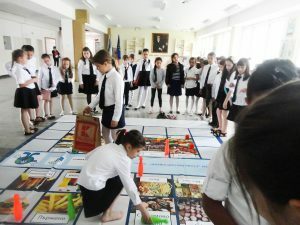 One of the classes prepared, with help of the parents and their teacher, was a floor game called “Choice of Food”. The aim of this game was to make food choices that are both healthy and caring for the environment. The game was very popular because the playing teams have gained important knowledge and had a lot of fun at the same time. Our grandparents used to eat responsibly! 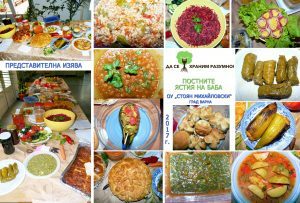 The exhibition entitled “The Grandmother´s Meatless Foods” not only presented topics such as Reducing meat consumption, local and seasonal food or Reducing food waste, but it simply showed that our grandparents used to eat quite responsibly and appreciated food much more than we do. Students and parents were so inspired by this exhibition that they decided to create a small leaflet about the most attractive and tasty dishes and spread it among the visitors and students. Another popular event was the discussions held by secondary school students. Students were divided into groups and discussed a variety of topics relating to food issues. For example, the questions were focused on conservation of agro-biodiversity, reducing meat consumption, palm oil, local and seasonal food, fair trade or reducing food waste. Children were very active. They showed what they had learnt during the lessons but mainly they showed how their attitudes towards our planet has changed. They understood how important it is to care for and preserve planet Earth. 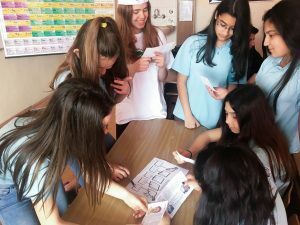 The whole project has mobilized many young people in order to make them understand how interconnected the world is. This motivation will enable them to take action against the global issue of irresponsible food consumption.